The Thomas Cook boss told MT's Inspiring Women conference she got up at 2.45am and is against board quotas for women. Not everyone would call up the chairman of a struggling company, in an industry they had no experience of, to put themselves forward for the role of CEO. 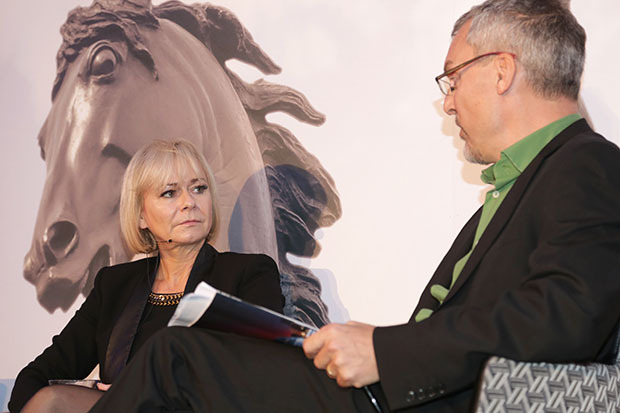 But while Thomas Cook’s irrepressibly energetic boss Harriet Green is not everyone, she also urged women to follow her lead and make that call. Well perhaps not that hard if you have self-confidence and determination in spades like Green, who also sits on the boards of US engineering conglomerate Emmerson and defence giant BAE Systems. Nonetheless, Green said that the onus is on headhunters and chairmen to broaden board diversity, as well as women themselves. 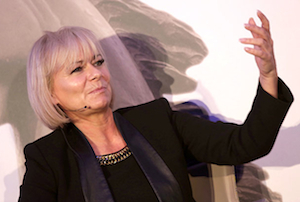 But the travel boss is not in favour of quotas - an issue that split the Inspiring Women audience down the middle after a debate on the issue before Green took the stage to be given the Inspirational Woman 2014 award. ‘As I sit on those boards... I want them to think, I want them to know, that I am there in my own right as a heavy hitter, as a successful woman who has a right to be on that board,’ she said. And it’s not clear skies for Green just yet either. Thomas Cook’s share price may have risen more than 1,000% to 138.3p since she took over, with £328m of cost cuts delivered so far in an ambitious plan to save £800m by 2018. But third quarter revenue fell 6% to £2.2bn, as political turbulence in Egypt continued to put off holidaymakers. All eyes will be on full year results next Wednesday. If there’s one thing Green isn’t short of, though, it’s energy - she’d got up at her ‘normal time’ of 2.45am yesterday morning, works out at 5.30am every day and has previously told MT that ‘sleep is overrated’. The travel boss believes her rather unusual sleeping habits are ‘psychologically connected’ to the death of her father when she was just 14. ‘We could die tomorrow, so we should try to make every day count,’ said Green, who is trying to become a Buddhist but admits she isn’t very good at ‘accepting what comes to you’. ‘Burnout happens when you’re not well, when you’re not happy, when you’re not doing things that are good for you,’ she said. With a turnaround task like Thomas Cook, here’s hoping.